Did you have a good sleep? From the moment you’re born sleep is one of your basic needs. This summer, I enjoyed some wonderful time in Whitehorse with my daughter Sophie, and her brand new baby boy. It is wonderful to spend this special time with them, and amazing to see how each day the baby develops new skills as he becomes more aware of his environment, and this new world he is now a part of. Sleep is one of our basic needs, but during a critical time in our lives, the ideal 8 hours flies out the window. New mothers are in survival mode when it comes to sleep and they grab every minute of it that they can. That’s why grandmas come to help out, so the new mom can get some extra sleep and support through this exciting and exhausting time. Getting enough sleep is one big key to a successful day. Never is this more evident than when visiting a new baby and mom. From the moment of birth, it becomes all about sleep, (and eating too), but let’s focus on sleep for now. I remember those seemingly endless 1, and 3, and 5 am feedings and diaper changing, and the teething, and feeling like I had never been so tired in my entire life. But all moms go through it and come out the other side, somehow we managed to survive. Well, happily those early days pass and you do recover, and sleep goes back to being just another part of your life and routine – a very important part and hopefully you do have a sleep routine. As a holistic nutritionist, qigong practitioner and healer, one of the first questions I ask a client, is about the quality of their sleep. “Did you have a good sleep?” reveals much more about the person and their overall situation than just the number of hours they slept. Having a good sleep, ideally 7-8 hours directly impacts chronic pain as it does so many other functions. Sleep impairment is the common denominator in chronic pain. We could ask what came first the chicken or the egg, but it remains to be seen that pain and sleep are a common pairing. The bottom line is that pain is a major factor in the amount of sleep you need versus the amount of sleep you’re getting. It is important to address the sleep situation, and it definitely calls for a holistic approach, looking at the whole picture of mind, body and spirit. If one area is out of balance or malfunctioning it will affect the other areas as well. Sleep impacts immunity, mood, activities, relations, and quality of life. The catch 22 of lack of sleep and the related symptoms of pain or poor health need to be addressed simultaneously. This can be done with the help of a good sleep hygiene protocol and other natural techniques. Mary was suffering pain, stress and overall poor health. She had been diagnosed with fibromyalgia, her pain level was an 8 out of 10. She also found she was catching every virus going around, and taking a very long time to recover. Mary was missing a lot of work, her social life and relationships were suffering. And to top it off, Mary was not sleeping well and woke up exhausted. This was very stressful for her and she had slipped into a depression. If asked “Did you have a good sleep?”, Mary nearly burst into tears. After doing a thorough intake session and learning about her history and present life situation it was clear that low immunity and whole body inflammation were responsible for her condition. She had been taking pain medications and NSAIDS and found these only offered temporary relief, and had many unpleasant side effects. The goal is to heal, renew and rebalance the system naturally rather than suppress the symptoms with medications. It was important to get to the root of the problem, simply and easily. We began with a cellular antioxidant protocol which included a potent multivitamin, anti-oxidants and other natural remedies. Mary began an easy meditation and qigong practice, walked daily, and began to implement a sleep hygiene program that allowed her to create conditions conducive getting a better quality and more hours of sleep. As Mary’s system healed she moved into a state of homeostasis. Homeostasis is the state of balance, where healing is able to occur and health thrives. A few months later Mary was feeling much better. She was sleeping well! A healthy and rewarding sleep routine had been established and she awoke most mornings feeling refreshed and renewed. Mary found she was no longer getting sick, her mood was greatly improved and she was able to enjoy a more active social life. Mary found the positive changes she had made were easy to maintain and of course she enjoyed the benefits they offered. Now when I speak with Mary one of the things I always ask, “Did you have a good sleep?” She just smiles in response! Mary made a lifelong lifestyle change and she has never looked back. This is possible for you too with the right approach; looking at diet, supplementation, exercise, relaxation techniques and other lifestyle factors. Natural is best, and by implementing a few practices to help to fall asleep and stay asleep, you can create a healthy sleep habit. Qigong practice supports deep restorative sleep. Supplements can be used to settle the nervous system and to promote sleep, helping you fall asleep and enjoy a comfortable restorative sleep. How often do you wake up tired, groggy and feeling unmotivated to face the day? A simple sleep protocol is relatively easy to create and maintain if you have the proper tools and approach. Establishing a healthy circadian rhythm is important. There are many factors that contribute to poor quality sleep and the related exhaustion you may be experiencing. In Conclusion, sleep is a basic need and stress, diet, exercise and more impact the amount and quality of your sleep. If you sleep life is good, if you don’t sleep well, I can help. Get glowing in body, mind and spirit. Enjoy more energy, better immunity, improved sleep and a clean diet! In September, I am offering a 28 Be Radiant for Fall Program, this will help get you on track simply and clearly as you reset your health and your life. Side effects include improved energy, better sleep, glowing skin, healthy weight loss, reduced carb cravings, strong immunity, and more! Usana Healthpak is the Easiest Way to Take Your Supplements… Period. BUY NOW AND SAVE 10%. 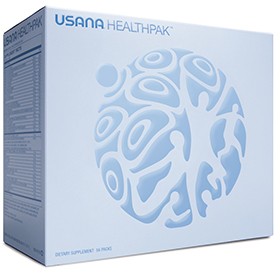 Get started today with the super convenient USANA HealthPak! Your full dose of daily supplements for only $160.95 CAD, you’re saving 10% right here! CellSentials Booster (1 tablet) a HealthPak exclusive! As a holistic nutritionist, I have found an effective and simple secret to creating vibrant health and creating a lifelong lifestyle change. USANA Health Sciences produces supplements that can and will change your life. They saved me from the depths chronic illness. Now I live a life I love! 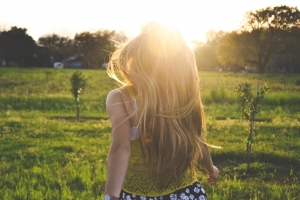 I offer free consultations to help individuals create a healthy body and a life they love! Kick Start Your Holistic Nutrition With Nancy and Book Your Complimentary 30 Minute Session Today. © 2019 Nancy Crites. All Rights Reserved.